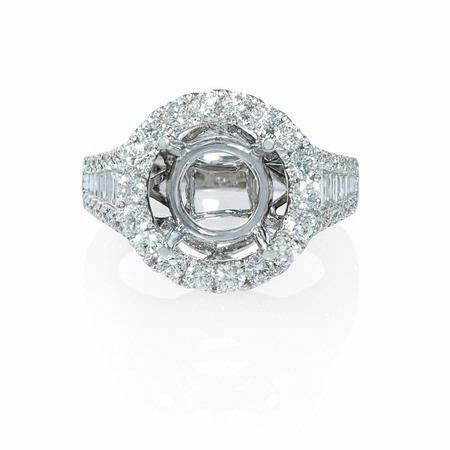 Diamond Details: 14 Baguette cut and 50 round brilliant cut white diamonds, F color, VS2 clarity, with excellent cut and brilliance, weighing 1.60 carats total. Measurements: Size 7 (sizable)and 15mm at the widest point. Some sizes may be special ordered and take approx 4-6 weeks to deliver. 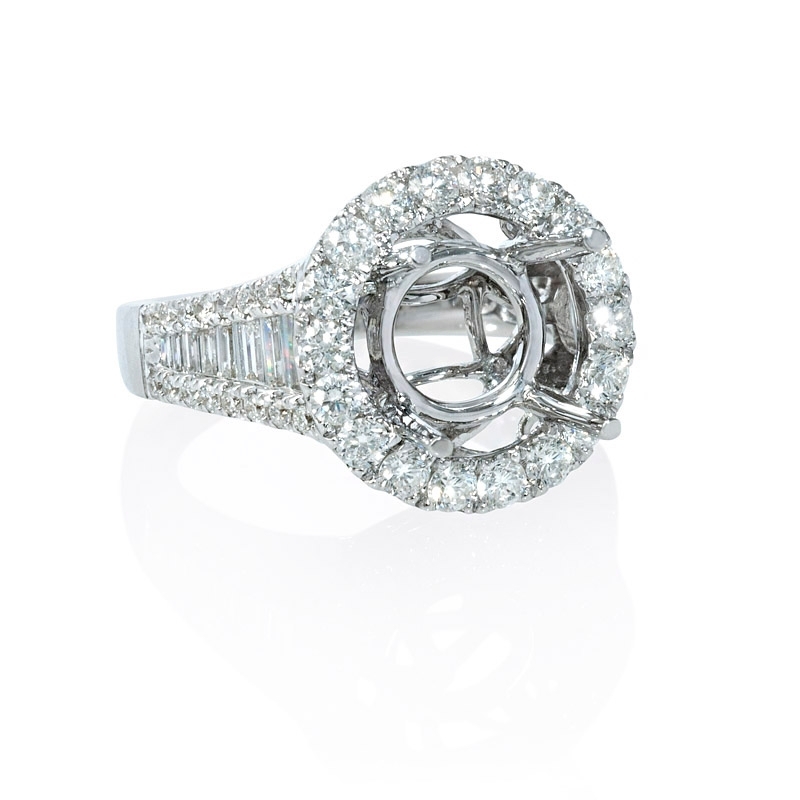 This elegant 18k white gold halo engagement ring setting, contains 50 round brilliant cut and 14 baguette cut white diamonds, of F color, VS2 clarity, of excellent cut and brilliance, weighing 1.60 carats total. 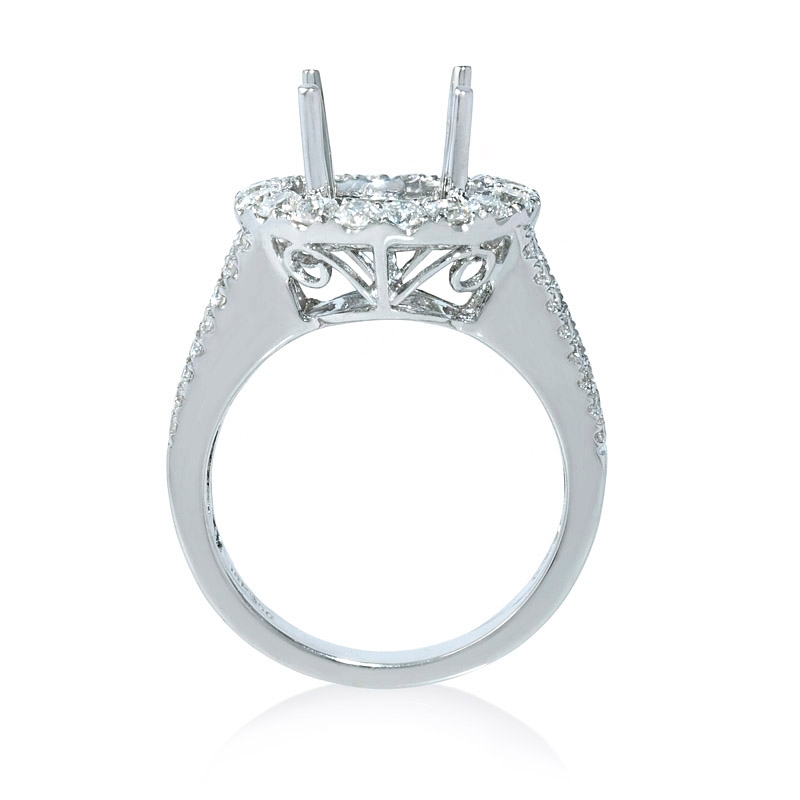 The ring is a size 7 and 15mm at the widest point. 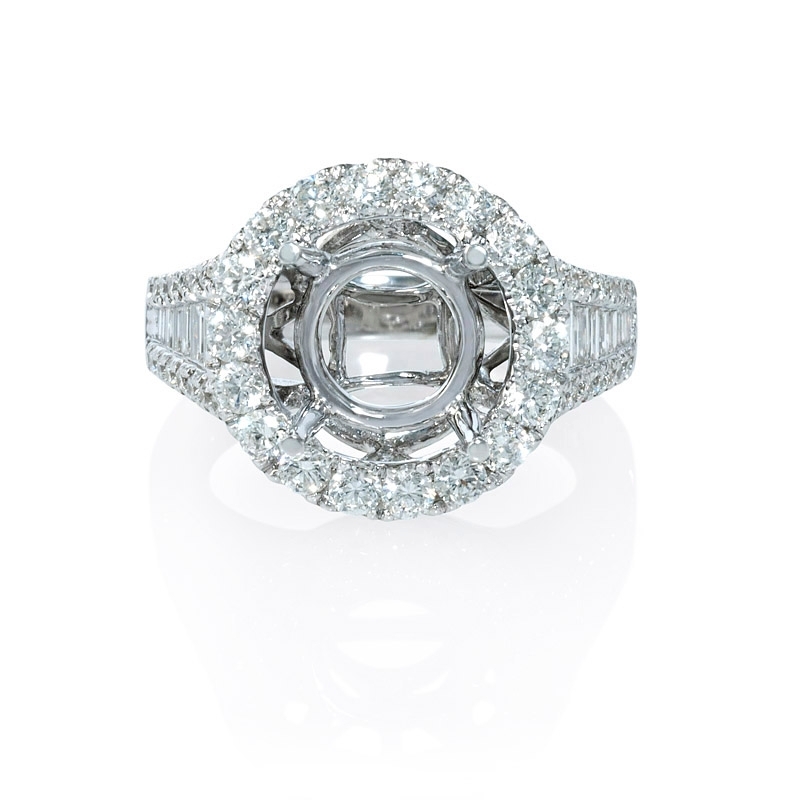 Accommodates 3.00 carat round cut stone. This ring ring is sizable to most finger sizes. Some sizes may have to be special ordered and will take approximately 6-8 weeks to deliver.